Lenzner upright bass strings are made in Germany and actually make other gut strings for the more well known string brands. These are top quality gut, upright bass strings without having to pay the highest prices on the planet! Whether you are after the 'original' sound of the early jazz players (like Paul Chambers, Oscar Pettiford, etc...) or a serious Rockabilly player, these are the some of the finest gut bass strings. Lenzner calls their brand of guts, "Supersolos" but these are not actual solo strings (where the G string would actually sound an 'A' in pitch). The Solo connotation is only just part of their brand name. Other good gut strings that we offer here are the Pirastro Evah Pirazzi Slaps and the Red Diamond Guts by Gamut. Each brands have their own style: You can get pure gut strings here (without any wrappying on the D or G) with the Lenzners. The Red Diamonds have nylon wrapped D and G strings. With the rising popularity of these strings, we have a little added page to read about before installing these that will hopefully help any premature breakage issues between the nut and tuning peg. Just a slightly wider nut groove and rubbing a pencil tip in the nut and bridge groove will go a long way. See the gut bass strings page. Have a question about upright bass strings? Call or email us. 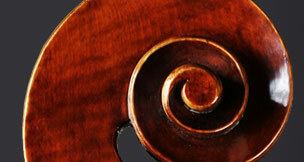 We also carry Pirastro gut string oil on our bass accessories page. This will help preserve your gut strings and keep them longer.